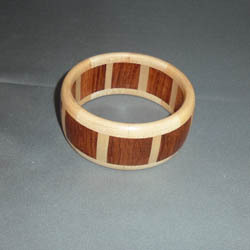 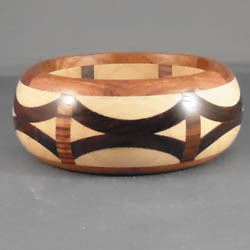 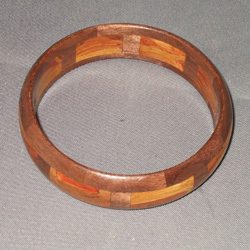 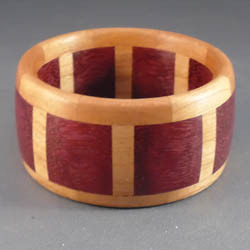 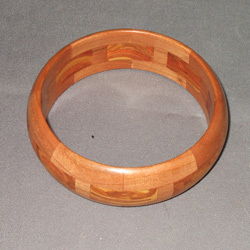 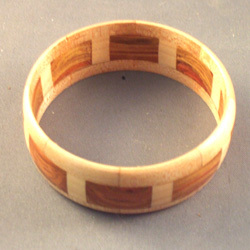 After making about a dozen simple bangles from single pieces of hardwood, I decided that segmented bangles would be more attractive and much less prone to cracking. 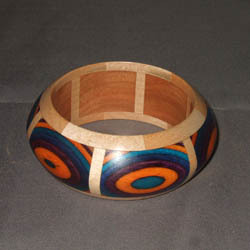 The bangles have internal diameters ranging between 2 1/4 to 3 inches. 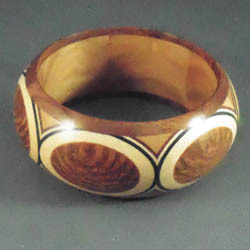 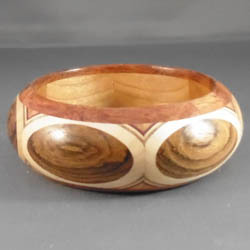 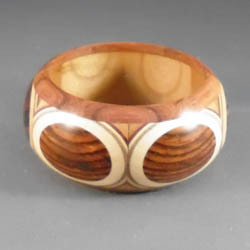 The bangles are finished with multiple coats of water-repellant finishes so they should retain the natural beauty of the wood for many years. 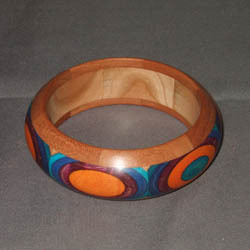 Spectraply is a laminated veneer made of dyed birch manufactured by Cousineau Wood Products. 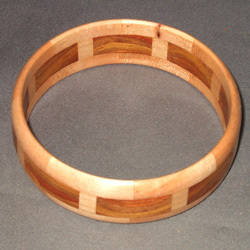 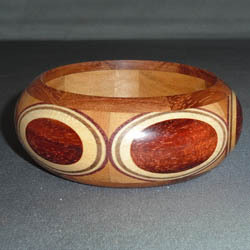 The bangles on the bottom of the page were made with a composite hardwood flooring product that is composed of different colored scraps of wood veneer that are glued together under high pressure.